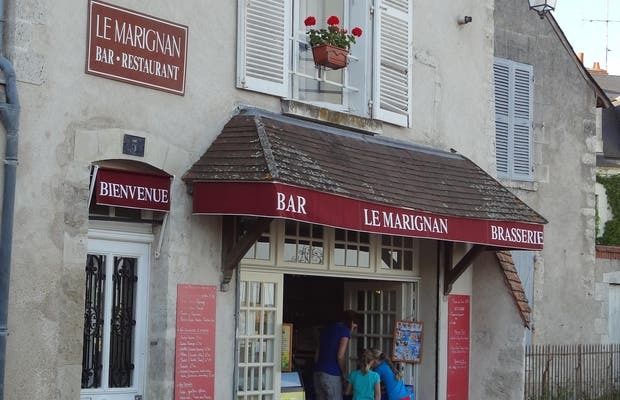 In the beautiful Castle Square in the center of Blois, the Marignan is a tea / coffee bar / restaurant providing an ideal stop. It has a small terrace, open to the castle square, where you have a breathtaking view. Not only can you admire the heritage of the city, but also you can get something to eat (salads, sandwiches, omelettes and other grilled sandwiches), with a warm welcome.